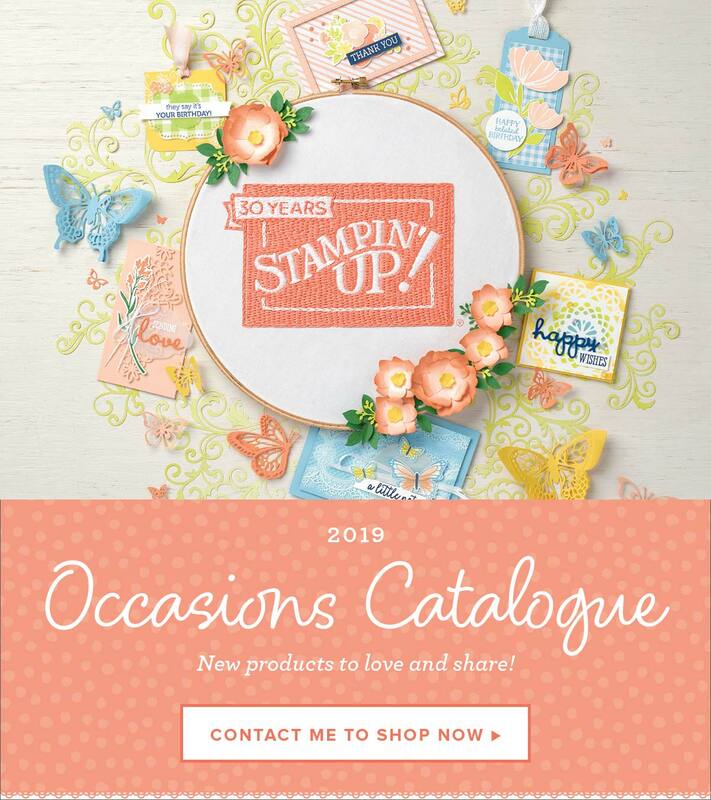 Stampin’ Up!® Demonstrator Karen Robinson | You’re the best, Dad! Today I have a card to share that finishes off the Father’s Day set I started last week. I really love how this little group turned out, I wasn’t planning on creating a set of projects, it just sort of happened and now I have some treats and a card ready in plenty of time – that hardly ever happens! I used the same piece of Whole Lot of Lovely DSP, ink and cardstock colours as my previous projects just changed up some of the stamped images to mix things up a little. The large sentiment is from You’re Delightful – a host only set – and was looking a little bare by itself so I added some words from Thoughtful Banners on the diagonal as a fun background. I kept the badge element and enamel dots from earlier projects but felt it needed a little something extra. This is the part I find tricky with masculine projects finding just the right sort of embellishment without going too far – it’s a fine line 😉 anyway, I ended up making some cord from Crushed Curry Baker’s Twine which adds the texture and interest I wanted but is still understated. TIP: The cord is quite thick so I had to pop up this layer on the card base and I used the Foam Adhesive Strips as they’re a little thicker than dimensionals. I really like this look but if you have to pay extra postage for thicker items where you live you might want to add a flat ribbon instead. A short and sweet post from me today, I hope you liked this set of projects and if the colours aren’t your cup of tea there are lots of other lovely ones in the Annual Catalogue to choose from. I hope you’ll come back tomorrow to see my first Festive Friday project!